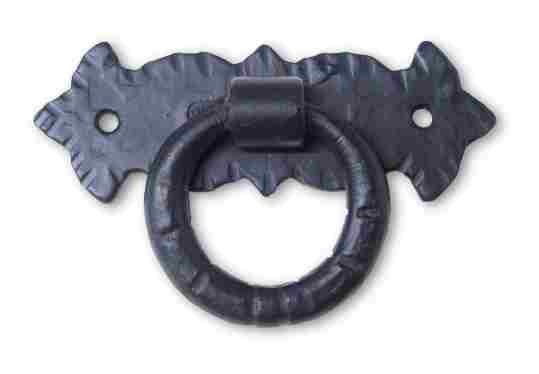 1 1/2 Inch Wrought Iron Spanish Ring Pull - measures 1 1/2 inch in diameter with mounting centers of 2 1/8 inch. Each piece is hand wrought and varies slightly from piece to piece. Mounts with 2 wood screws (included).